A while back I came across this article and started doing these ... they are good ... unfortunately, like MOST exercise for me I did not STAY WITH IT ... had I done so I am sure my knees and legs would be much better for it!!!!!!!!! Everyone's great attitude to exercising is motivational! GMADONNA70 - Thanks so much! My 'attitude' about all this is starting to mend too - that's half the battle (if not more - ha! )...ankle is slowly feeling better each day. DJBTOO, sorry to hear you sprained your ankle. The chair exercises should be helpful. Get well soon! Those who can't put much weight on knee and ankle. I do Sit to be Fit on YouTube. I find it less stress on my knee and ankle. Also I have bands, dumbbells, and other things I can use to do exercises at home. I have to start doing those and some workout at home since there is no gym close to my apartment I can go to and I do not have a car. I have been trying to add a few sets to the exercise, I am doing so far so good, I got some very good ideas from this team. Keep up the good work members. God bless your day!! I read most of these post and gave me some very good ideas, in the way of exercising. I am moving slowly as I have very bad arthritis in my knees, but I am trying to break it into two times a day, and I will add more sets as I loose weight. Thanks for all the good information. Really liked your observation "...and each day choose the one that is doable"... THAT really resonated with me and I will think of your saying this each time I 'feel' like it's a day where there is 'nothing' I can do exercise-wise. Simply not true is it? There is ALWAYS SOMETHING! Thanks for the 'nudge' in straightening out my 'thinking'! I keep forgetting I must avoid an "all or nothing" mentality. Just because I hurt too much today to do a certain exercise, maybe tomorrow I will be OK for it. So that means that the important thing is to have a wide variety of exercise choices available, and each day choose the one that is doable. And that implies choosing to do something every day, even if it is only bed stretches. I cannot tolerate walking in the heat either. Also, here, we do not have paved roads and lava rocks are an issue for me. There are always loose lava rocks ... they are EVERYWHERE ... even in my 'yard' ... so I'm always having to be careful cause it's easy to 'twist' my knee if I step on one wonky! ha! That's why I was trying to go back to Leslie's WAP dvds ...but my knees evidently didn't like that either - ha! "If there's something I can't do I find another way I can." As in I'm finding I cannot walk OR do WAP ... so now I'm finding something I CAN do. I took a nice walk on Saturday with my dog! I have used the Leslie tapes. WAP. I am not good at walking outside in the heat. DLMullins ... I just recently had to change up 'how' I'm exercising due to my knee problems. I was trying to get back into Walk Away the Pounds dvds, walking outdoors, yoga and tai chi. Found I could not do the WAP or walking much at all. I went to the resources here on Spark ... under limited mobility (I think that's what it's called) ... anyway there are articles with ideas for exercising and videos there. I've started with those this week. I am really liking them. I'm using the Chair Exercise videos and an article that has the knee exercises demonstrated titled "5 Movements to Strengthen Knees" ... (I think that's the title - ha!) ... if you are interested and can't find them here I'll try to give links. Just let me know. This is great. Thank you so much. There are days when I can barely get up and exercising is so difficult. I'm trying to find modified exercises I can do when my knees are acting up. Some interesting ideas. I really need to start walking outside again. I have enjoyed it so much in the past. for health.com 16 exercises I can do most of them! All are great ideas! Thank you! Great ideas! All of them are good ways to make exercise more a part of your daily routine and motivate you. I like the idea of breaking it up into segments. I think I will give that one a try this week. * Break your exercise into two 15-minute sessions--a brisk walk at the start of your lunch hour and another one with the dog or the baby in the stroller when you get home from work. * Have a fallback plan if your day is more packed than usual. Is there time to squeeze in a walk between errands or on the way home from work? Bring your shoes with you or keep them in the car. * Could you give up that TV show you really don't like anyway, or tape it to watch on the weekend? * Park farther from store entrances, or a take the stairs instead of the elevator. * If you travel for work, could you choose a hotel near a park or mall, or one with an exercise room? Pack an exercise tape or CD and walkman. An exercise tip of sort of you like is to wear a pedometer to count your steps as you walk each and everyday. A lot of us I know already do that. but if you don't have a pedometer and can't afford to buy one try this: My dad and his wife have an app on their cell phone that they downloaded for free that tracks their steps. So you could perhaps try that. Most of us these days all have a cell or mobile phone. Tracking steps is great as you can try and better your step count each day. Just normal everyday walking that we all have to do is exercise. I'll be adding my steps in each day into the team "daily steps". It thought it might be nice to have an area where we can share exercise workout tips and information with each other. 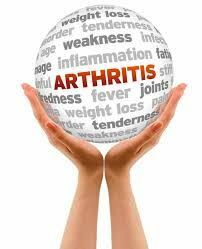 We all have different types of arthritis and physical limitations that some things will work for some other things will work for others. So by sharing our information and tips we can learn learn off each other.